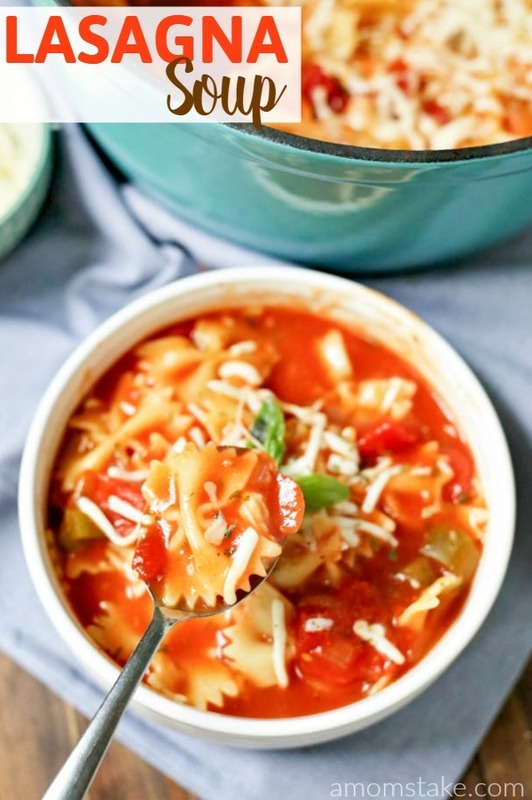 This oh-so easy one pot lasagna soup recipe will change up your pasta night with something new and unexpected! 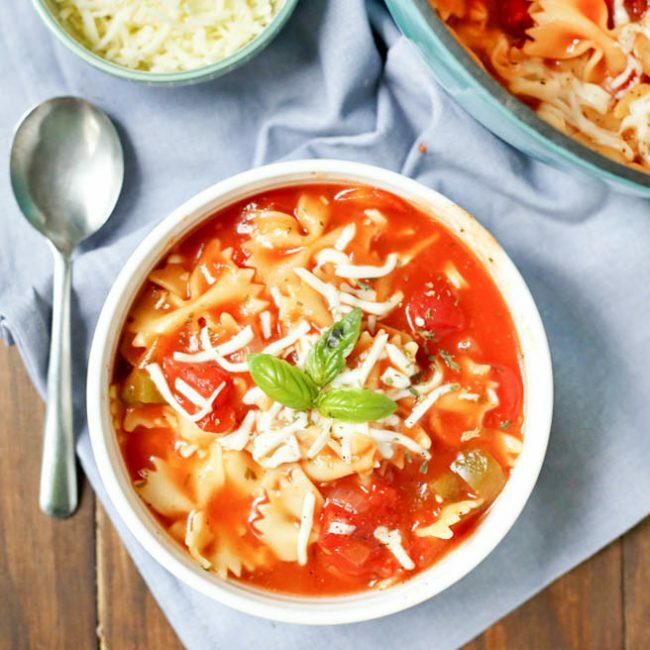 Combining all the flavors you love of lasagna with a hearty, belly warming soup! This recipe brings you everything you love about home cooking in one pot. Dice bell pepper and onion, and cook it over medium-high heat in a Dutch oven with garlic and a little oil until just soft. 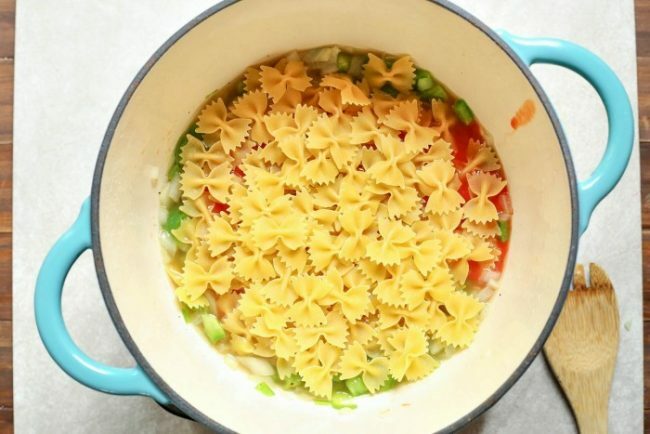 Add in all remaining ingredients except cheese, cover, and cook in the oven at 400 degrees for 30 minutes. *Check after 15, and add more liquid if needed. 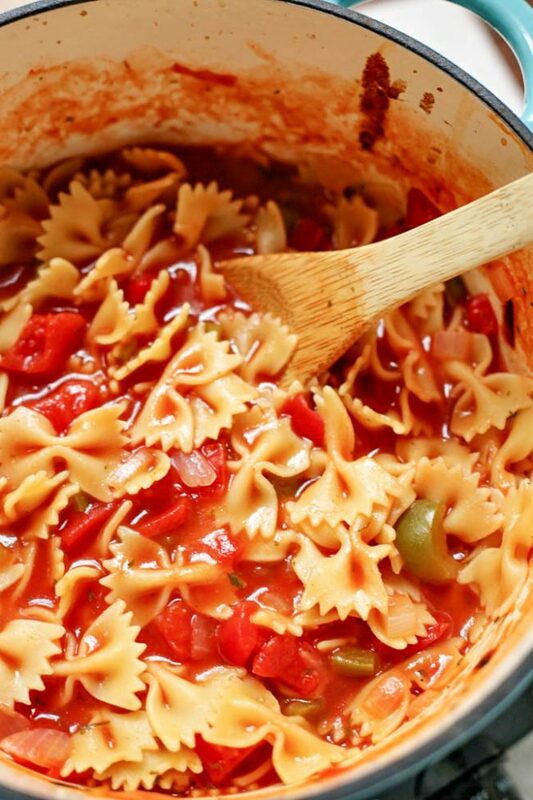 When noodles are soft and fully cooked, remove from oven, sprinkle with mozzarella cheese, and serve in bowls. Top with fresh basil and/or seasonings of your choice. This recipe makes a big portion, enough to feed the whole family or have leftovers for a later date. 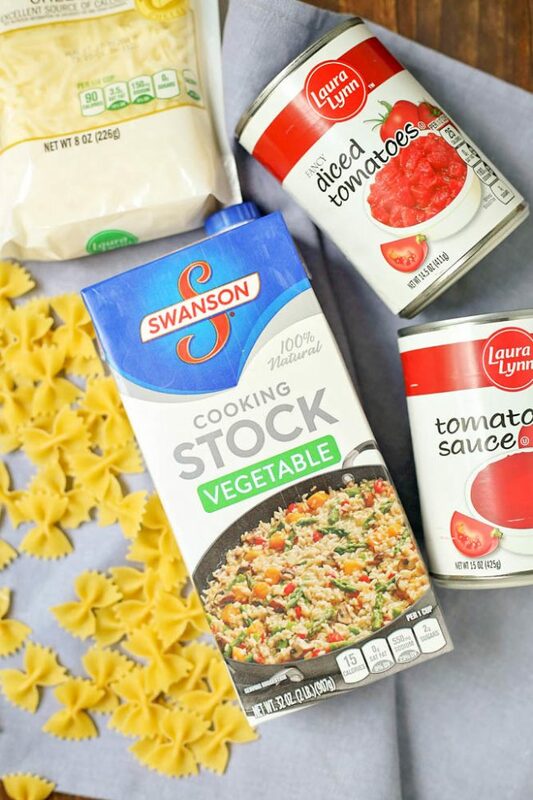 Watch us make this yummy lasagna soup in this quick 1-minute video, or keep on going to print the recipe. This hearty dinner is just one pot away. 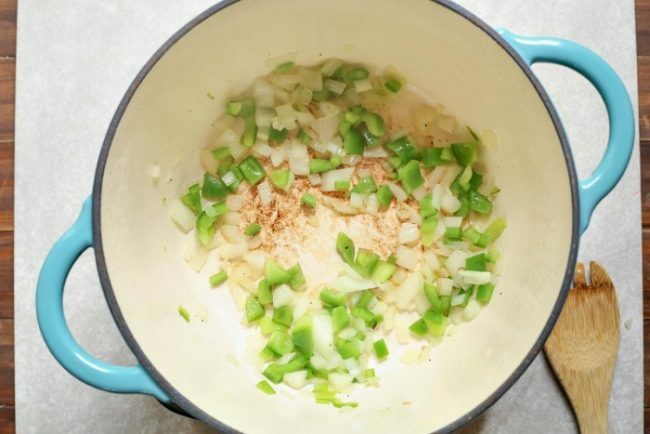 A quick 10-minutes prep and then toss the dutch oven into your oven to bake. 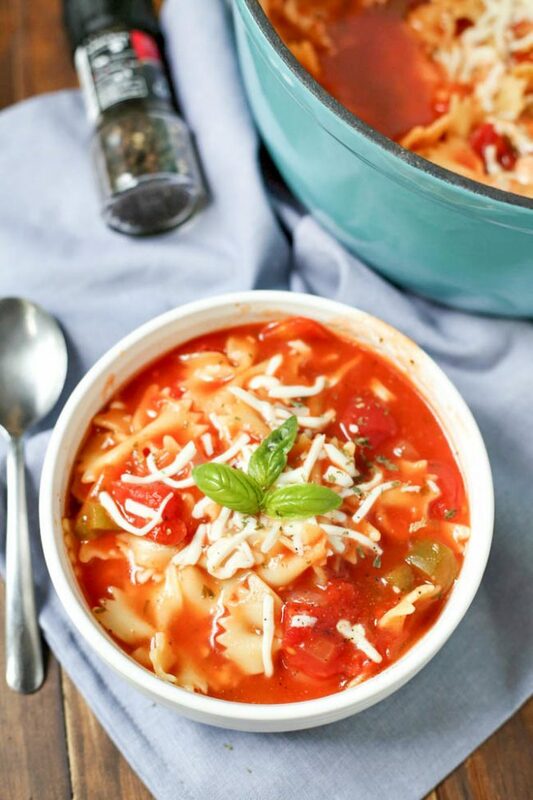 When noodles are soft and fully cooked, remove from oven, sprinkle with mozzarella cheese, and serve in bowls. Top with fresh basil and/or seasonings of your choice. 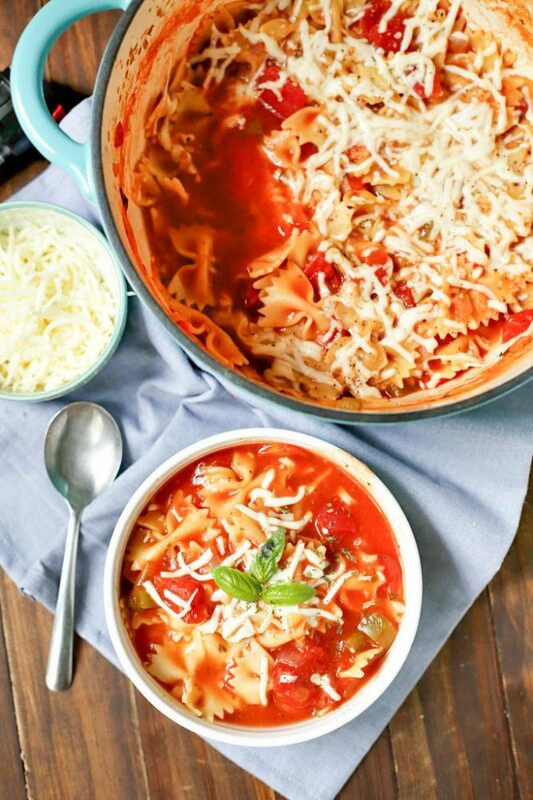 Have you tried this Lasagna Soup? Let us know what you think! Oh, yum! I love to make soup. I’ve made all kinds over the years, but I’ve never tried this one. It sounds amazing! That sounds delicious. Lasagna is one of my favorite pasta dishes, but it can be difficult to eat. This takes care of that. 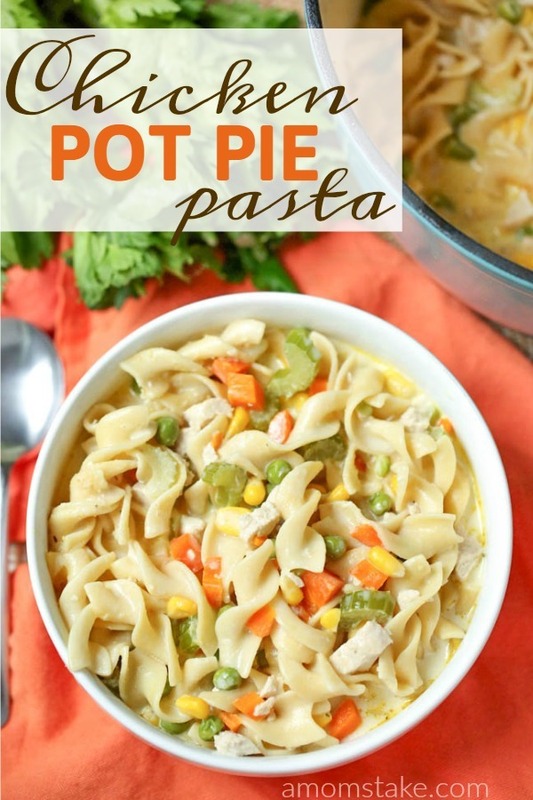 This looks so good, love one pot dishes! Looks pretty too! I was just looking for some fresh ideas for family dinner. We love lasagna so this might be a fun recipe to shake up our usual menu. I have not tried this! But I am definitely going to be trying it sometime soon! It looks amazing! 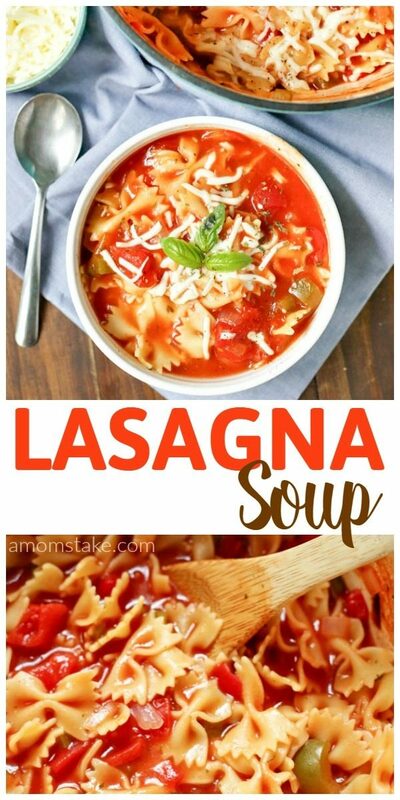 We all love lasagna and I like how easy this soup is to make. Thanks for the recipe – a must make soon! Nice recipe janel. I am a single mom who work from home. Most of the time i eat soups and pizza. This will added a new taste in my dinner for sure!! !